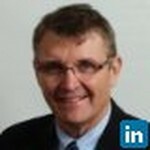 Skills of Ken Twining - I employ cutting-edge technologies to manufacturing so companies can grow revenues, cut costs and increase profits. I employ cutting-edge technologies to manufacturing so companies can grow revenues, cut costs and increase profits. I welcome invitations to connect. Please send invitations to TwiningRS@gmail.com. I'll never IDK a personalized request. I started my manufacturing career after university managing a wooden toy manufacturer. I continued to gain manufacturing management experience in a number of different roles and added industrial and materials management designations after 8 years of night school. I implemented two IBM 3600 manufacturing computer systems and gained my MRPII certification from IBM. As an Assistant Materials Manager, I had a staff of 4 people responsible for Purchasing, Inventory Management, Production Scheduling, Production Control and International Logistics. I managed supplier relations, budgeting, P & L and quality training. Additional experience with several racing series, led to being recruited from Canada by a prototype and design operation to be their motorsports manager. With McKenna Industries and Chrysler I enhanced my leadership skills while gaining valuable materials, operations, production and vehicle development experience. I continued my education with six sigma certification and learned QMF advanced query skills for data and material analysis within my Chrysler positions. Join Today to follow and contact Ken Twining.